As I noted last week, my parents were visiting New York. 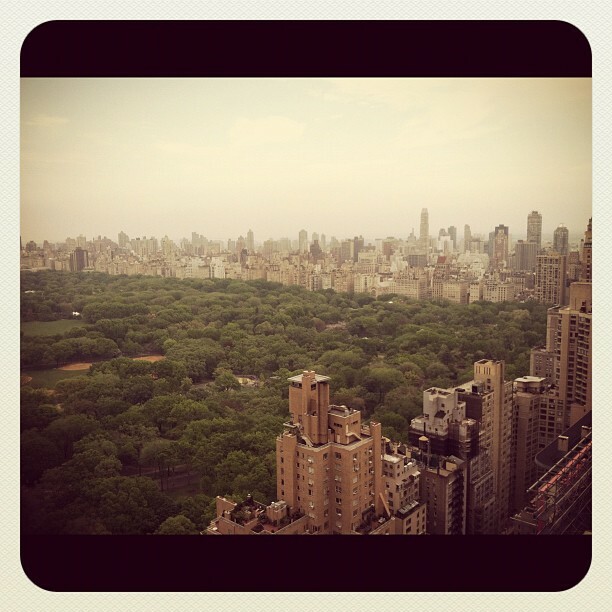 They stayed in a condo that overlooked Central Park West. I finally realized what the big deal about having a park view is. 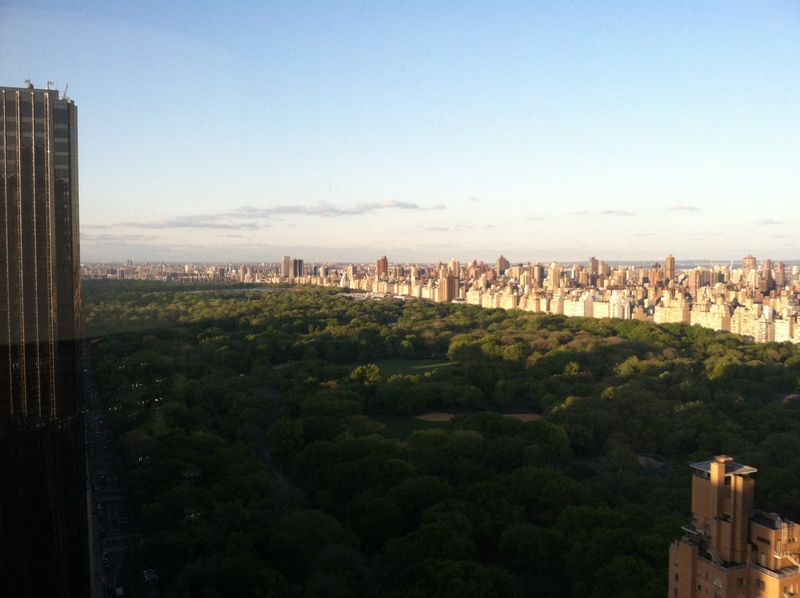 I will have to admit that as much as I love my view from Greenpoint, the Central Park West view is quite spectacular. The scope of the park is just incredible. It stretches for blocks and blocks. With my hipster Sepia filter, it looks like a very old fashioned view of the city. I think the fog helps with that feel. It is easy to forget that there is so much green-space in this city of concrete and steel. 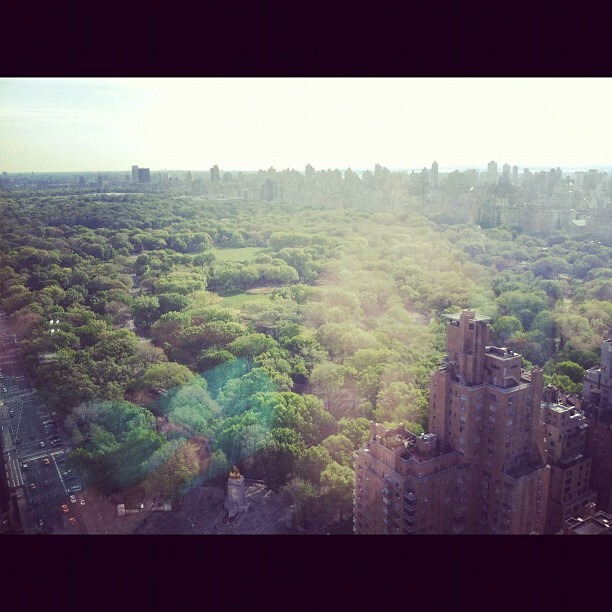 After admiring the park from 41 floors up, it was time to go explore it. 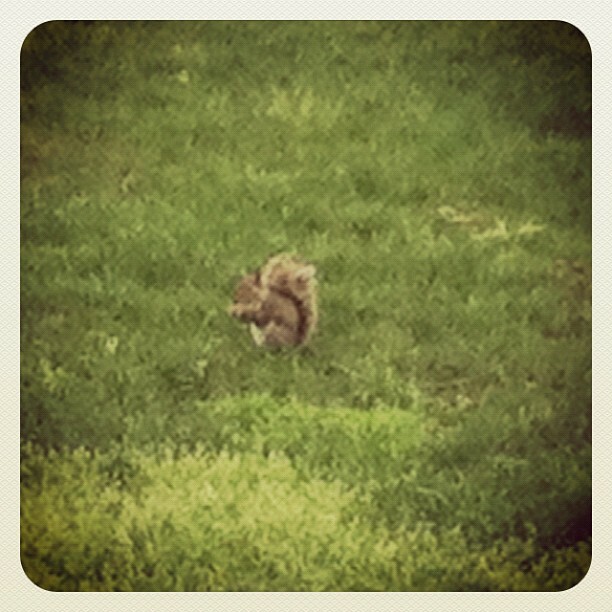 I saw this little guy in the grass. 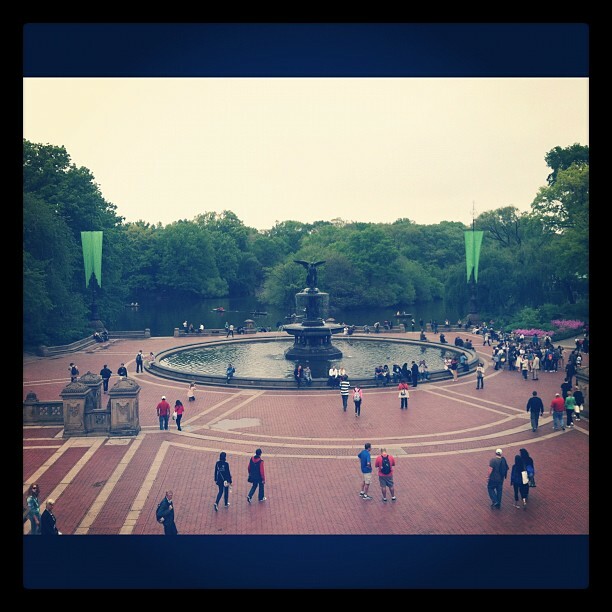 Beautiful fountain in the middle of the park. Behind it is the lake where people were rowing. One of these days, I will have to go for a picnic in the park and go rowing. More pictures of the park. Once you get deep into it, everything gets much quieter. But, along the edges, it is not hard to forget that you are still in New York. 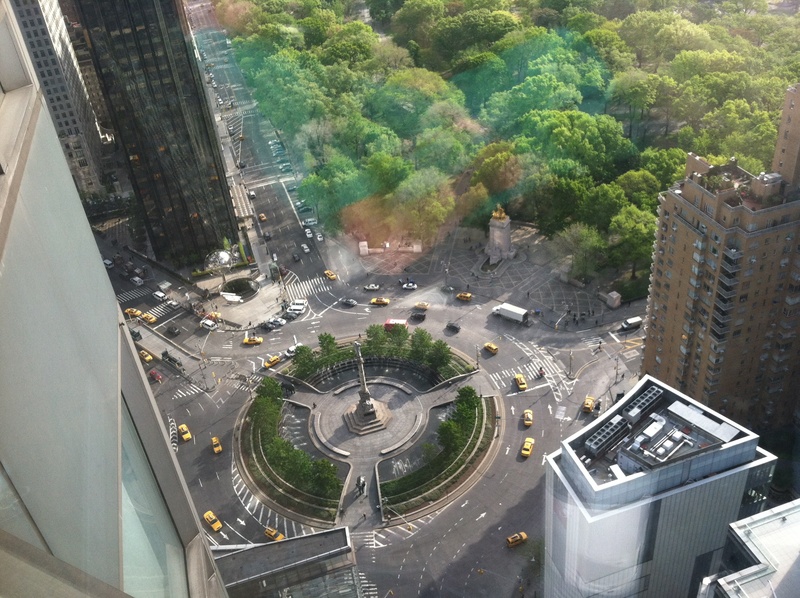 Finally, an overhead view of Columbus Circle. 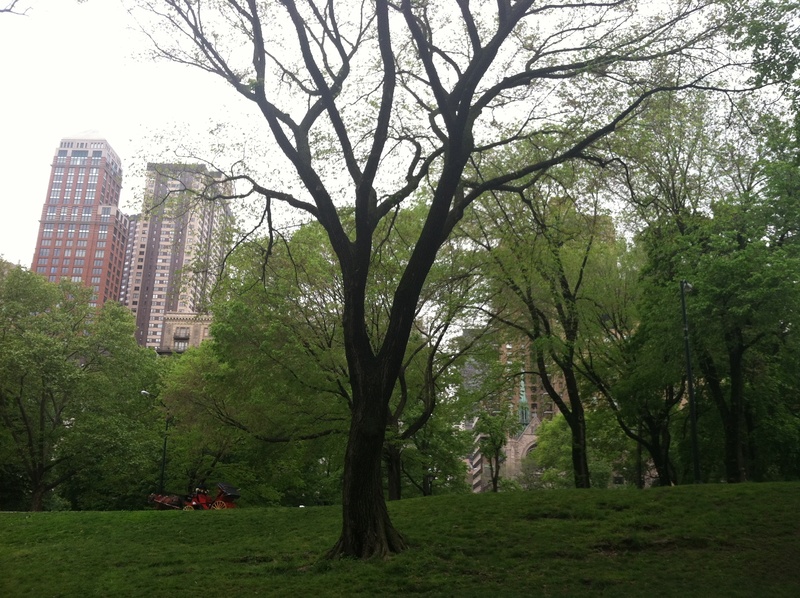 Even when the weather is not quite at its nicest, Central Park is a must see when visiting (or living in) New York.